The magic of enchanting Cambodian tradition meets modern weddings perfection at Sokha Siem Reap Resort & Convention Center. Our team of professional offer unique wedding venues that give an elegant ambiance to ensure couples the wedding of their dreams, the team also has a wealth of experience and vendor relationship that will make sure your wedding is a beautiful success. 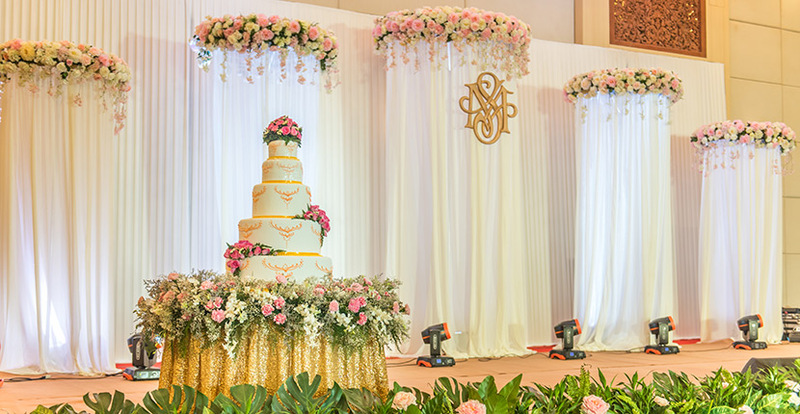 Be it wedding by the pool where couples can celebrate under star with perfection performances on water stage in the swimming pool or a grand ballroom with romantic evening of delicacies foods and wine. 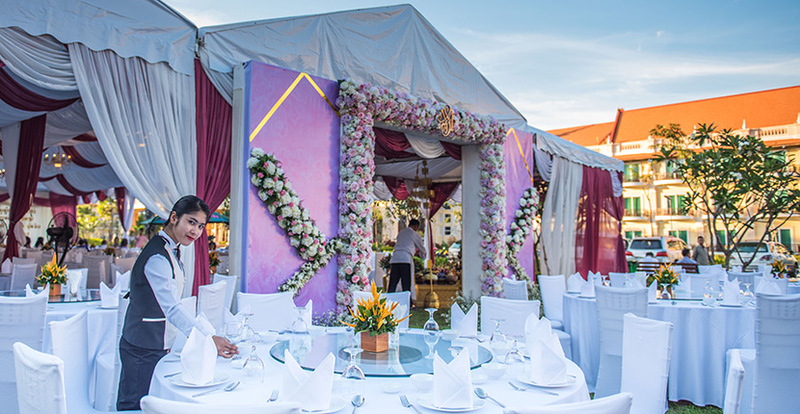 Sokha Siem Reap Resort & Convention Center delicated team of wedding planners will assist from the start until the wedding day. 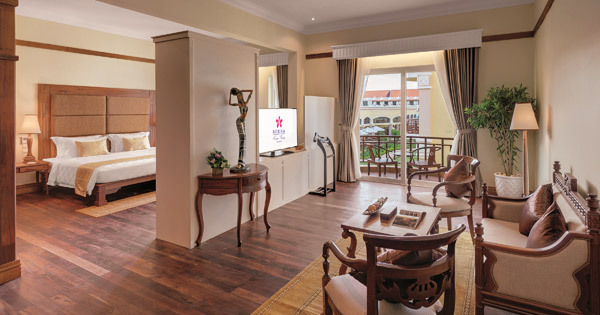 Sokha Siem Reap Resort & Convention Center is the best selection for your elegant venue offering an exceptional 5 stars service that will fill your dream. 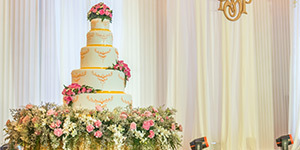 Many choices of wedding cake prepared by our professional and talented Chefs who are processioned in art-decoration, to make your unique wedding look modern and significance. 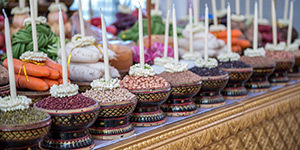 Celebrate Khmer traditional wedding ceremony at Sokha Siem Reap Resort & Convention Center. The big space of grand ballroom and parking area are the most inviting, available for your morning dowry “Hae Chumnon” and other necessary traditional programs. 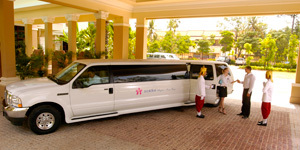 Make the entrance of a lifetime with Sokha Siem Reap Resort & Convention Center’s impressive selection of transportation with an elegant customized fleet of Limousine or Rolls Royce as your private catering. 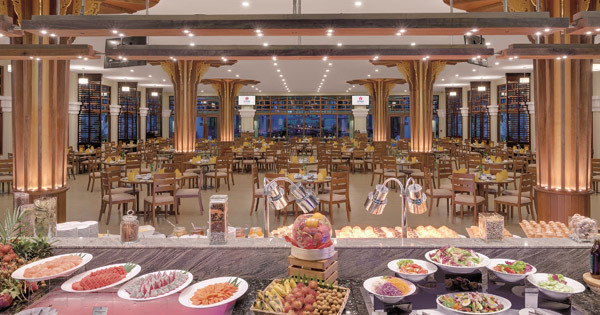 Sokha Siem Reap Resort & Convention Center’s professional catering, talented team of Chefs and culinary experts are on hand to help your outside catering from an elaborate banquet style dinner to a buffet-style spread, fine dining set menu and beyond. 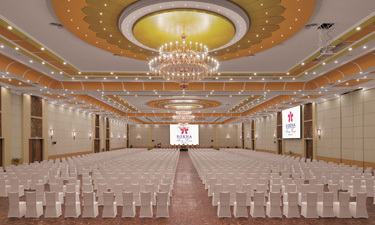 With 2,160sqm of space, considered the largest ballroom in Siem Reap, the Grand Ballroom is a sophisticated venue for large business events, conferences, corporate meetings, exhibitions, gala dinners or wedding receptions. 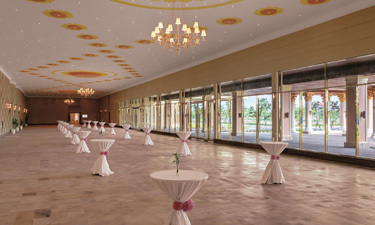 The pillarless ballroom provides hard wood flooring, modern audio-visual equipments and fast Internet access with capacity up to 2,000 persons. 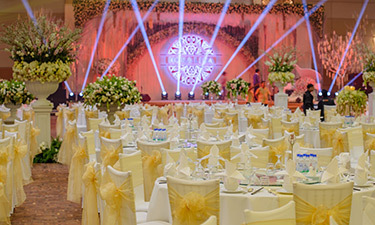 Well-equipped with latest audio-visual amenities, Ballroom 1, 2, 3 is the perfect venue for banquets. 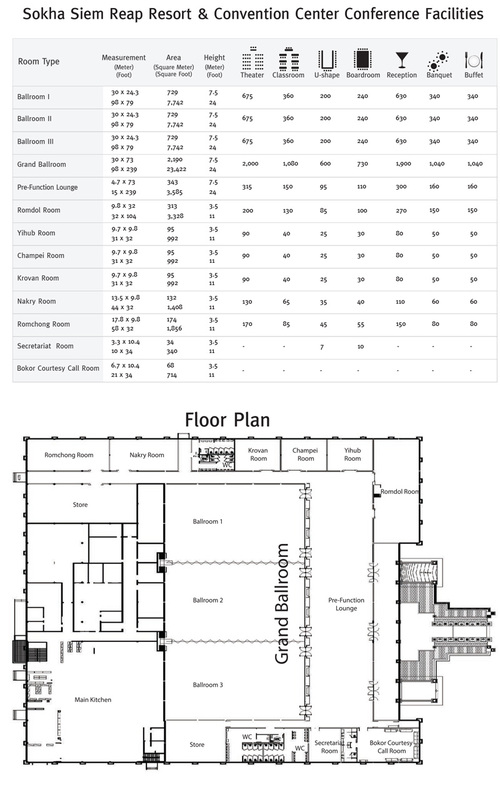 The venue provides hardwood flooring, fast speed Internet access and can cover up to 675 persons. In each ballroom vespatirdy. The Pre-Function Lounge is an inviting space, ideally suited for pre-dinner cocktail, conference break-out table-top sales or small exhibitions. With floor-to-ceiling windows along one side, the pre-function lounge is filled with natural light and has a view of garden and hotel entrance. The area can cover up to 1500 persons. 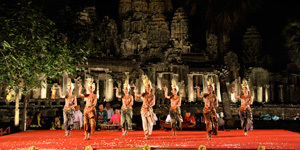 Siem Reap provides a pretty much endless summer, but when the actual season rolls around, you'll find the best of Siem Reap’s nightlife at the pool especially for wedding. 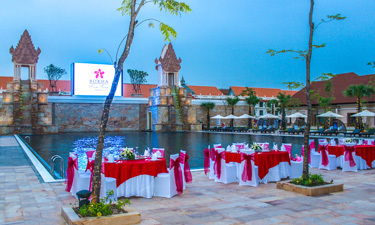 If you’re looking to lounge (or dance) by the pool, music in ear and cocktail in hand for your wedding, be prepared to arrive early or grab a hotel room at Sokha Siem Reap at the night before, as most parties cap out at 900 people. Having a 43 sqm LED screen can display your wedding moment to everyone and more importantly, YOU are the heart of your romantic wedding. 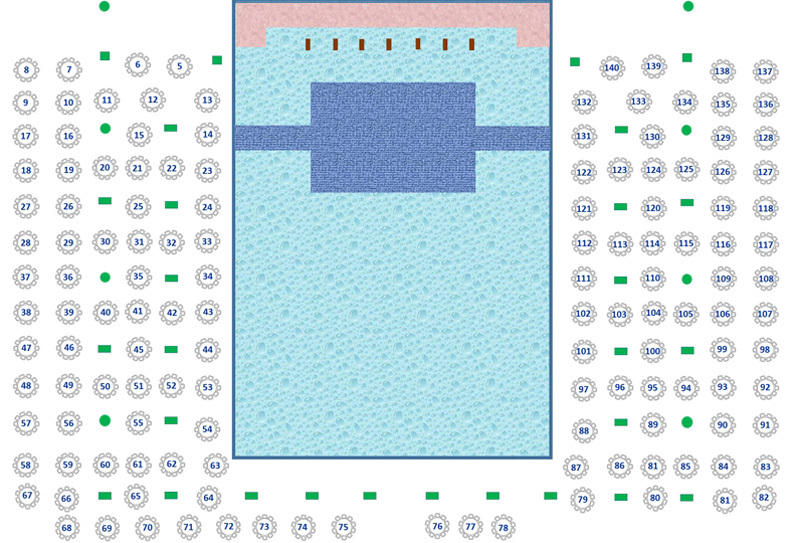 225sqm Floating stage is the perfect place you can have the wedding ceremony in front of all friends and family. 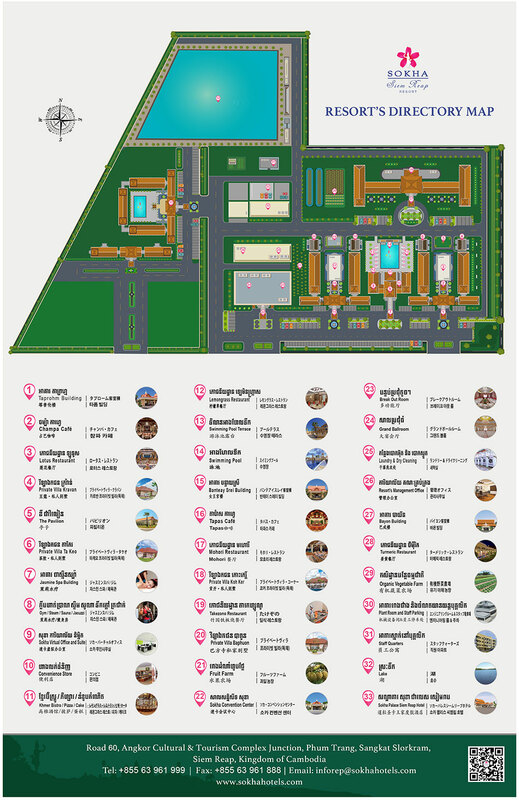 You can find what you need all here at Sokha Siem Reap Resort & Convention Center.